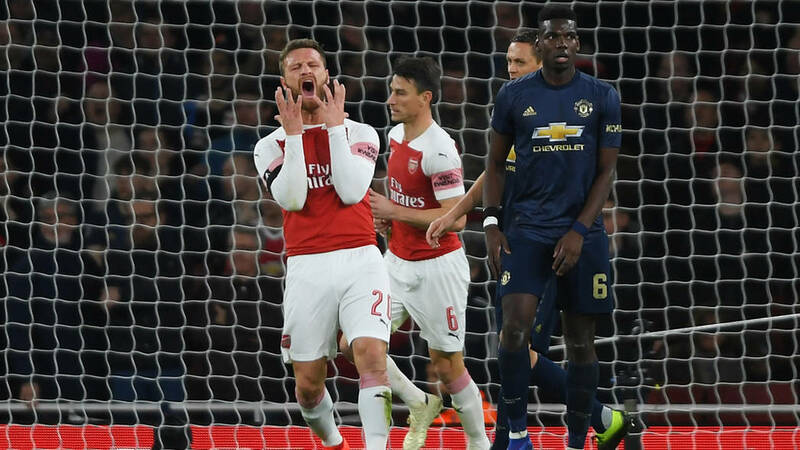 Arsenal were back in action in the FA Cup against Manchester United on Friday evening at Emirates Stadium. Before the game kicked off a minute was taken by all present to pay tribute to missing Cardiff City striker Emiliano Sala and pilot David Ibbotson. The opening thirty minutes were fairly even with both teams playing at a high level of intensity without achieving the precision either were looking for. However, two goals in the space of three minutes completely changed the game. Alexis opened the scoring for the away side from an acute angle. Soon after, Lingard doubled the lead after arriving in the box to finish a counter-attack. Arsenal responded well, and got back into it before the half was up. A sweeping move up the pitch was rounded off when an Aaron Ramsey pass across the box was finished by Pierre-Emerick Aubameyang at the back stick. The second half saw Arsenal continue to push forward in search of an equaliser. Ramsey came close with a header that was only just saved by Romero. Spaces were growing and both teams looked to attack in what was a furious period of the game. Laurent Koscielny was injured in an unfortunate clash with Lukaku and he had to be replaced. Arsenal continued to commit men forward and had chances to draw level through both Ramsey and Alex Lacazette, but the second goal just wouldn’t come. United took advantage of space on the counter and got a final goal through Martial at the end to make it 1-3. Arsenal now focus on Tuesday’s Premier League match against Cardiff City at Emirates Stadium.